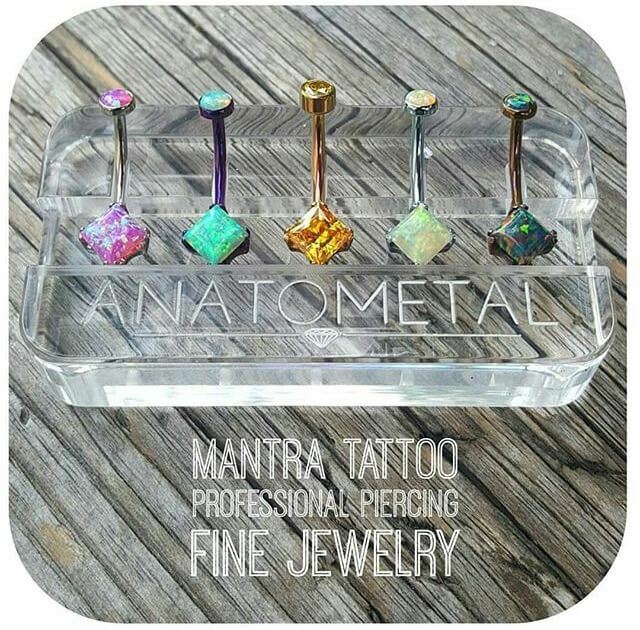 Come Get Your Navel Pierced at Mantra Tattoo! Suns out Navels out! Summer is here, its time to show off that stomach you worked so hard to get. Why not come down to Mantra Tattoo and get a fresh navel piercing to add that little something to your navel. We have a full selection of only the best fine jewelry for navel piercings. Our piercers are here at the shop every single day to help you with any of your piercing needs! 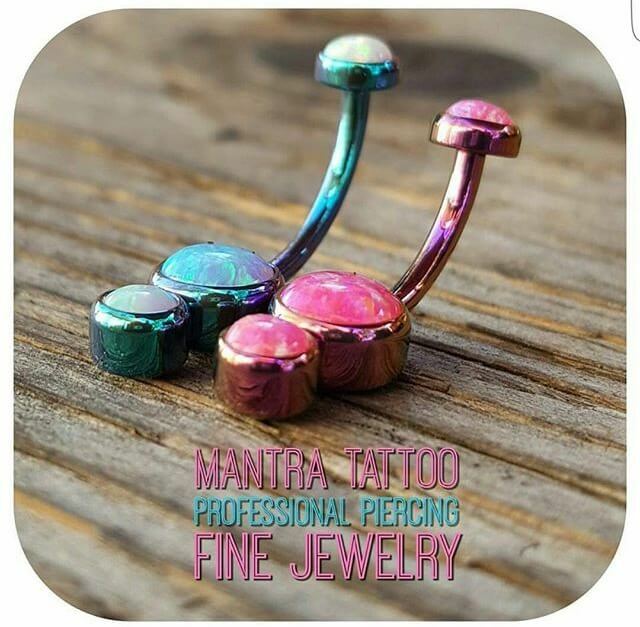 Here at Mantra Tattoo we offer only the best fine jewelry from the top companies in the industry. We carry jewelry from companies like Anatometal, Industial Strength, Body Gems, & Neometal. Our piercers Randy & Lil Chris enjoy putting together custom pieces to ensure you get a one of a kind navel piercing with jewelry that you love! All of our jewelry is interchangable, so if you’d like to switch out the top for a fancier looking opal or CZ flower its not problem! Anodization is one of the services we also offer to change the color of the metal of your jewelry absolutely FREE just to add that extra bit of uniqueness. We maintain a safe piercing studio above all else. Holding the highest standards in cleanliness and sterilization. We use only the highest quality equipment & body jewelry the industry has to offer. All piercings include hypoallergenic implant grade ASTM standard titanium jewelry. So you have nothing to worry about and you can feel comfortable getting the piercing you’ve been wanting! If your navel isn’t suited for a traditional naval piercing we have other options for the placement of your piercing, such as a lower navel or a single point dermal anchor piercing. Depending on your anatomy the piercer will determine what the best area for your navel piercing might be. 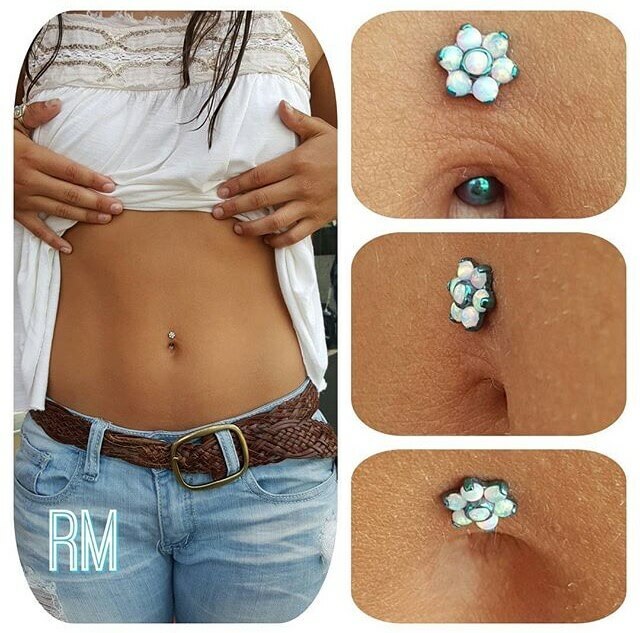 We may also be able to do both your upper and lower navel piercing or pair one with a lower or upper dermal piercing to create a fully customized look! With all of our choices of jewelry you can be sure we will be able to put together a piece of navel jewelry unique to you! 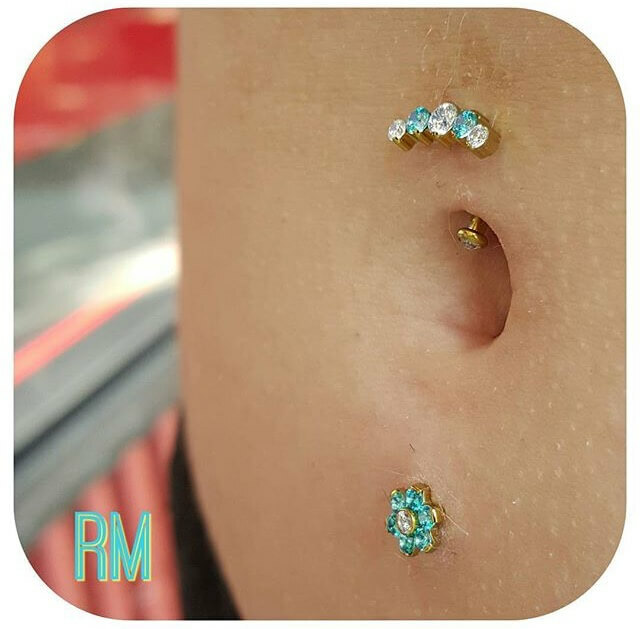 Swing by the shop to have a look at our huge selection of fine navel jewelry and have a free consultation with one of our piercers! No appointment necessary!